140g 12" black vinyl, mastered & cut at Optimum Mastering UK, sleeved in 3mm spine full picture sleeve. Artwork by Richard Greenan. Includes unlimited streaming of Brand New Love via the free Bandcamp app, plus high-quality download in MP3, FLAC and more. It’s hard to imagine being at the cutting edge of electronic dance music for over three decades, and never resorting to cliché or tired gimmicks in order to create unique and forward thinking music, but Matthew Herbert is still channelling original and thought provoking ideas into his projects all these years later. Via his Accidental record label, he has always excelled at left of centre productions, and through a variety of genre aliases (including Doctor Rockit, Wishmountain and The Matthew Herbert Big Band), his imagination has always run wild, resulting in an infectious catalogue of music over the years. 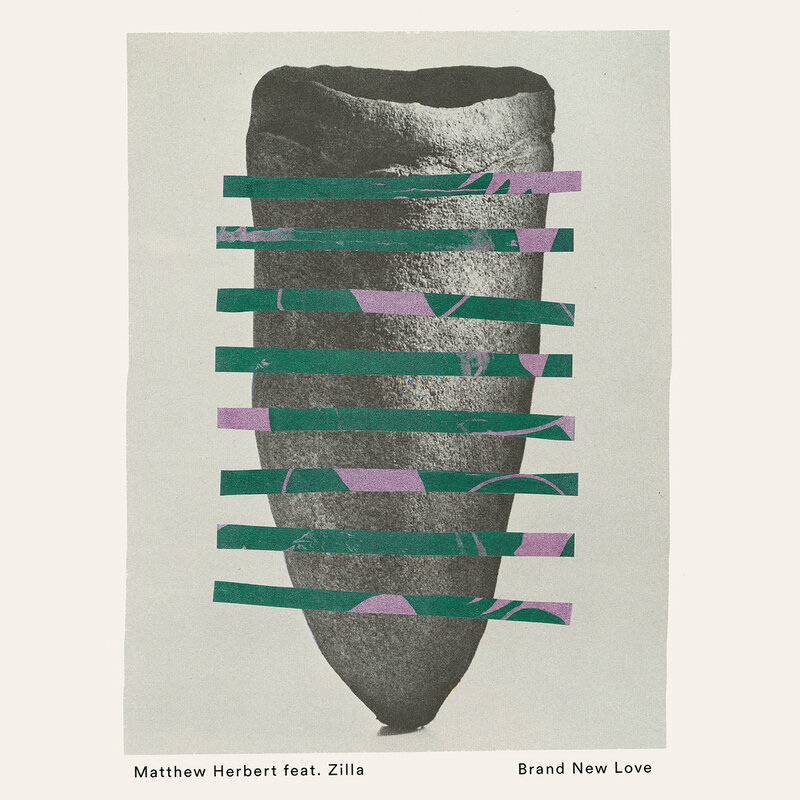 “Brand New Love”, featuring the vocals of rising star, Zilla, finds Herbert creating a dense and dramatic bass heavy cut. A steppers beat, utilising Herbert’s trademark sampling techniques, it’s a killer cut with sweeping cinematic qualities that sounds head and shoulders ahead of the rest. Special Request, the jungle heavy arm of Paul Woolford’s many recording talents, is enlisted to put his breakbeat spin on the original, and turns in an absolutely lethal version; choppy breaks, spinbacks and booming subs come with intent, whilst a sumptuous string arrangement accompanies Zilla’s vocal for a truly uplifting spirit. “The Peacock”, with its loose beats and opaque stabs, rolls along with its industrial undertones and ravey motif, discordant at times but a truly hypnotising but in the finest of side B1 traditions. Bringing up the rear, “Cheekbone” is frenetic and charging micro tribal rave (a new genre classification right there); a glorious medley of percussion, earworm synths and guillotined vocal samples, showing just why Matthew Herbert is as vital an artist now as he has ever been.